After having started their World Cup campaign with a 1-1 draw against Switzerland in their opening group game, Brazil secured their first victory in their encounter against Costa Rica. The game looked set to end in a goalless draw, before Philippe Coutinho and Neymar scored two stoppage time goals to hand their nation a much-needed win. The dramatic finish to the match brought out strong emotions from the South American team’s players as well as supporters, and one person to express them outright was Brazil’s talismanic number 10. Neymar displayed an action-packed performance against the Costa Ricans, which involved a penalty shout getting ruled out by VAR and also a booking. But it was his goal that sealed the result for the Brazilians, and the Paris Saint-Germain superstar was seen pouring out his emotions after the full-time whistle. 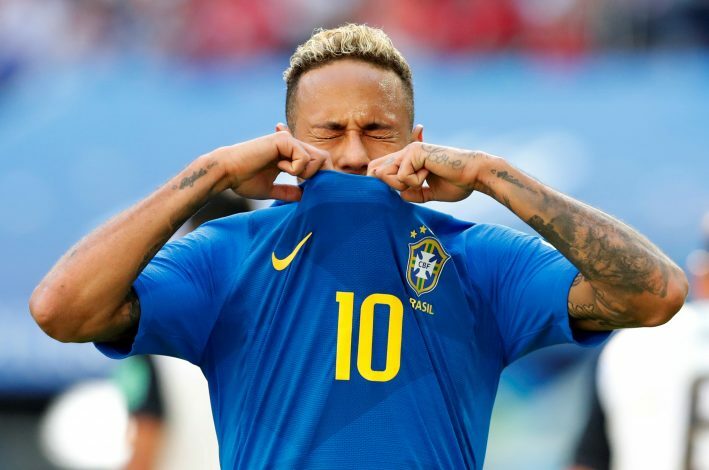 After the game, Neymar revealed the reason behind the tears in his eyes, via his latest Instagram post. The Portuguese caption, when translated to English, reads: “Not everyone knows what I went through to get here. The tears were of joy, of overcoming of the will to win. Brazil still look the likeliest to emerge as winners of Group E, but Tite’s men would still need at least a point from their final group game against Serbia to ensure progression to the Round of 16. Despite being dubbed as one of the favourites to go all the way in the 2018 World Cup, Neymar and co. undoubtedly need to improve their performances and step up their game if they intend to defeat the other top dogs for eternal glory.